Hi Everyone, and welcome to my stop on the Sunday Street Team Blog Tour for Cinderella, Necromancer! This book sounds absolutely amazing and I'm so excited that I'm able to share this interview I had with the author, F.M.Boughan, today as a part of the SST tour. I hope this medieval Cinderella Retelling with magic catches your attention and that you add this book to your TBRs! If you had to travel the world, which five fictional characters would you choose to take with you? Hermione Granger to keep everyone on track, Kamala Khan / Ms. Marvel because she seems incredibly cool and could help get us out of any trouble, Flynn Rider so that he could haggle at markets for us (the smolder! THE SMOLDER! ), C-3PO because he could speak all the languages to help us get around and make sure we follow the right customs, and… hmm, let’s say... Caro from Song of the Current, because if we’re traveling the world, it might be helpful to have someone in our group who can sail. A river cruise here and there sounds nice! Would you rather be locked in a library or in a bookstore? I’m going to say library, simply because I think the chairs would be more comfortable, there’d be better places to sleep, and there’d definitely be a washroom. And I wouldn’t have to worry as much about dropping a book on my face and accidentally bending the cover when I get tired… thanks, library binding! That is, unless we’re talking a chain bookstore with a coffee shop inside, in which case I’ll take the bookstore. Food takes precedence, people. What are your top two ice cream flavours? The company So Delicious makes an incredible cashew milk ice cream called “Salted Caramel Cluster.” It’s so good, it should be illegal, I’m telling you. (Not sponsored! I wish…) Also, anything with peanut butter. I am weak for salty-sweet flavor combinations! 4. 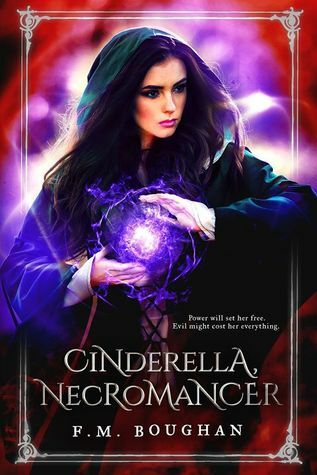 For those readers who haven’t heard about Cinderella, Necromancer yet, could you tell them a little of what the book is about? Let’s face it. The title isn’t exactly subtle. Haha! It’s a fairy-tale retelling of the Cinderella story, but this time, there’s no fairy godmother coming to save her. Cinderella gains the power to fight back… but this power has a cost beyond anything she could have imagined. 5. What does your everyday writing routine look like? What’s the most you’ve ever written in a day? A couple of years ago during NaNoWriMo, I wrote just over 11K in one day. It was terrible. I don’t recommend it. My wrists ached like they were going to fall off and my eyes felt like they were bleeding. Also I have no idea if what I wrote made any sense. Do not attempt! Typically, I do promo work in the morning or other less-brain-heavy tasks, then do my actual writing in the afternoon. Preferably at a coffee shop (fewer distractions than at home), but it doesn’t always work out that way. I call it quits after I’ve made word count (usually the target is between 1.5K-5K, depending on what I’m working on and how much time I have to complete it) and then set it aside until the next day. I do more promo/marketing tasks & email answering in the evening. 7. If you could pick one favourite quote from Cinderella, Necromancer, what would it be? The blood of my enemies drips down my forearms, fleeing the confines of the spaces between my fingers, traveling toward freedom on the cold, stone floor. F.M. Boughan is a bibliophile, a writer, and an unabashed parrot enthusiast. She can often be found writing in local coffee shops, namely because it’s hard to concentrate with a cat lying on the keyboard and a small, colorful parrot screaming into her ear. Her work is somewhat dark, somewhat violent, somewhat hopeful, and always contains a hint of magic. 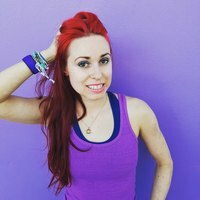 Her debut YA fantasy, CINDERELLA NECROMANCER, publishes Sept. 5th, 2017 from Month9Books. Description: Cinderella, Necromancer is Chime meets Anna Dressed in Blood and was inspired by a real medieval grimoire of necromancy from 15th-century Germany.